Fig is a local restaurant located in Charleston, South Carolina 29401. Fig restaurant accepts online reservations via OpenTable. Credit card is required for booking. 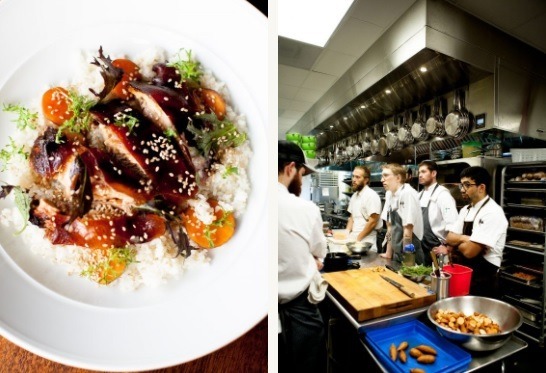 Fig is a great place to visit and to eat tasty seasonal local food in Charleston. The slogan at Fig is simple and true: “Food is good“! In the dinner menu they have appetizers such as Crab Spaghetti for $19 and entreed such as Pan-Roasted Snapper for $31, it is not one of the most cheapest places but as mentioned, the food is very good. You can visit the Fig Restaurant in Charleston at 232 Meeting Street, call to 843.805.5900 for more information.